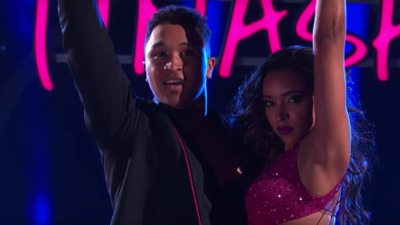 Tinashe and her dancing partner Brandon Armstrong came in to win. They danced to Meghan Trainor's "I'm a Lady". Both showed their competitiveness on the dancefloor. The duo had the highest score of the night, 23 out of 30 points which ended in a tie with DeMarcus Ware and Lindsay Arnold.